ADC in the Community this Weekend! We’re crossing our fingers and hoping the weather in Atlanta holds out this weekend, because Atlanta Dance Central will be out an about performing around the community! Atlanta Rising Talent’s performance at the Roswell Arts Festival a couple of weeks ago was rained out, so Roswell has a second chance to see us kick off our season! 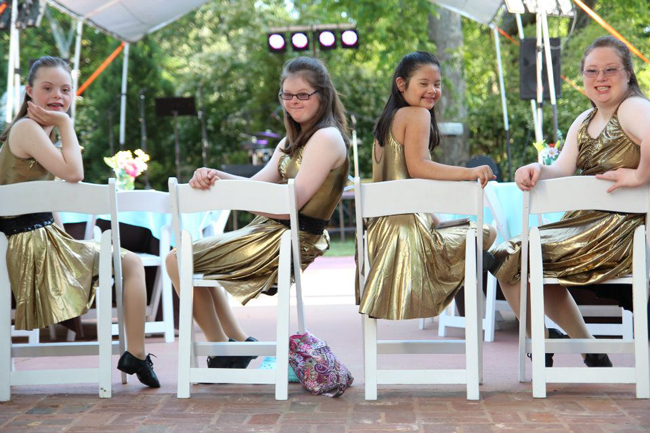 This Saturday, October 12, Atlanta Rising Talent and the Foster-Schmidt Dance Academy for Down Syndrome will be dancing their way through the streets of Roswell in the Youth Day Parade! This year’s theme is “Hats off to Roswell.” The parade will make it’s way from First Baptist Church in Roswell, down Historic Canton Street, and will end in Roswell Area Park. We will be dancing and tossing candy! If you come, support Atlanta Dance Central by standing near our Scarecrow for the Boo Ya’ll Scarecrow Contest. 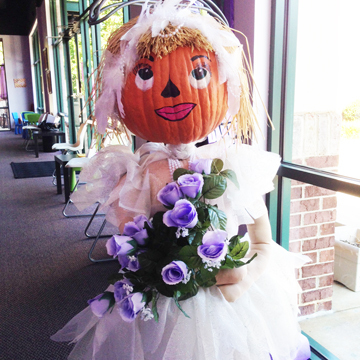 Her name is Odette and she can be found on the corner of Canton and Norcross Streets. We’d love to see you there. The Foster-Schmidt Dance Company has a big weekend ahead of them! Not only will you be able to spot them at the Youth Day Parade in Roswell, but on Sunday they will also be performing at the DSAA Buddy Walk. The Buddy Walk is Sunday, October 13 at Centennial Olympic Park in Atlanta. Our lovely dancers will be performing a dance from last year’s recital! If you are in downtown Atlanta on Sunday, you don’t want to miss this wonderful event. You can catch both Atlanta Rising Talent and the Foster-Schmidt Dance Company again in SIDEWAYS Contemporary Dance Company’s “Frankenstein’s Frolic.” The haunted carnival and dance performance will take place at Atlanta Dance Central on Sunday, October 27. Congratulations and best of luck to all of our students who are performing! Previous Post: « Happy Birthday, ADC!